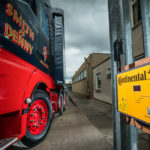 CVW speaks to a Scottish haulage company to understand how a new Tyre Pressure Monitoring System (TPMS) from Conti Tyres has led to significant savings in on-road incidents and downtime for the business. 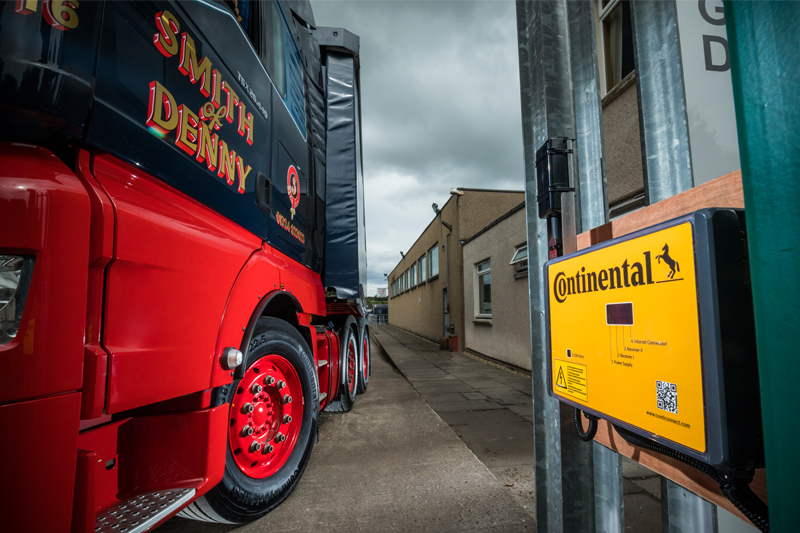 Scottish haulier, Smith of Denny, had the opportunity to trial the new Continental Tyres ContiConnect portal and Yard Reader Station ahead of its introduction to the UK market. 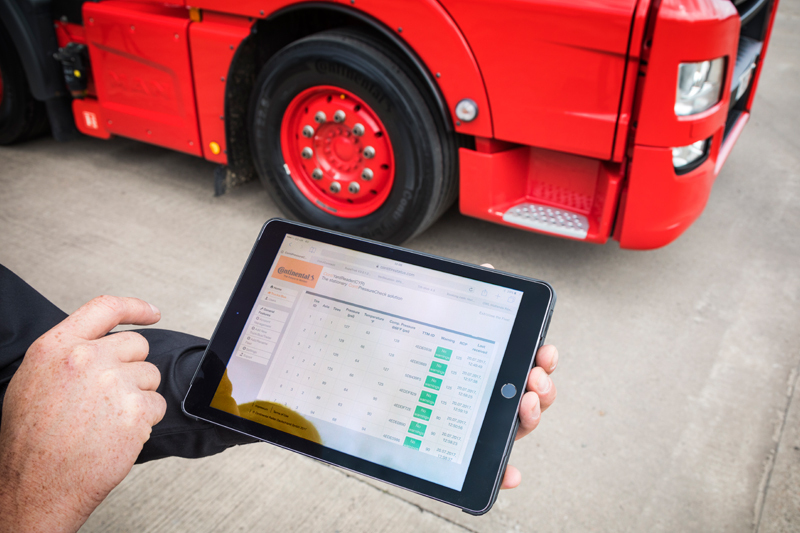 The system, which has now been launched, automatically reads and logs tyre pressures and temperature from all trucks and trailers leaving and entering an operator’s yard. Smith’s Director, Andrew Smith, says the system provided utmost accuracy on the company’s 26 trucks and 50 trailers, and helped reduce truck downtime. The discrete wall-mounted Yard Reader Station is fixed into the yard, and receives information from each tyre sensor as a truck and trailer passes. 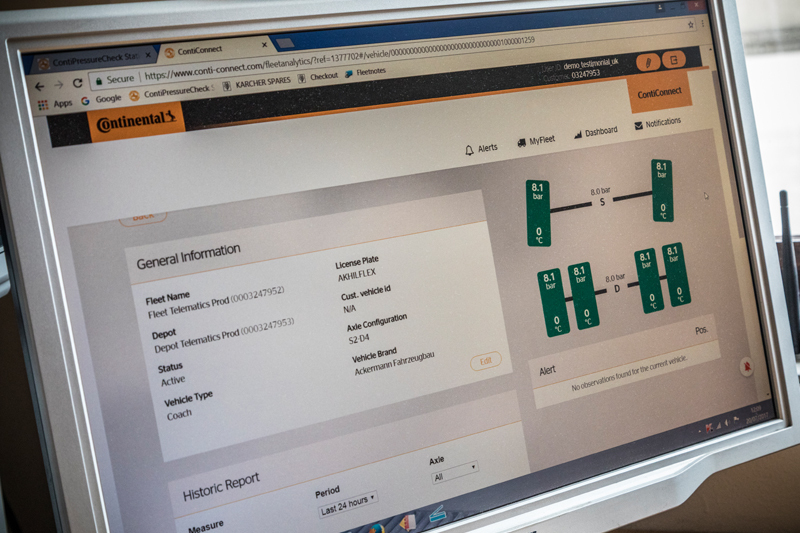 It links directly to Continental Tyres’ online management portal, ContiConnect, via GSM, where readings are displayed on screen to flag any problems to the operations manager, using a simple green/red colour-code against each tyre. Alerts can also be sent via text and email to make users aware of issues. To communicate with the Yard Reader Station, any brand of tyre can be easily fitted with a CPC sensor, mounted on the tyre inner liner inside rubber housing. This ensures continuous measurement of tyre pressure and temperature beneath the tread, at the tyre’s contact point with the road surface. The new software gives operators an accurate snapshot of all vehicle tyre pressures as they pass, and is immediately transmitted and uploaded to the dashboard display on the ContiConnect system, highlighting any tyres with under-inflation and increasing temperature problems. 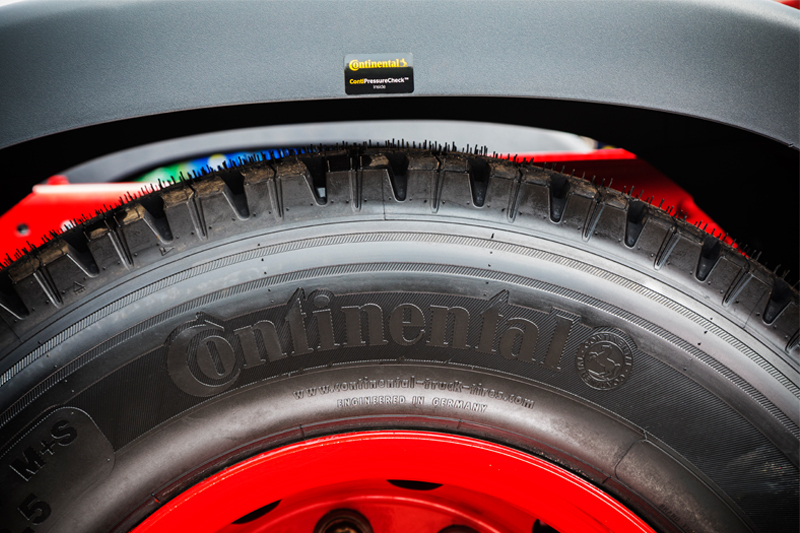 Andrew concluded that the company has been impressed with the value the Conti YardReader Station and ContiConnect have brought to his business: “We have a great relationship with Continental, so were happy to trial what we were told would be another advance in tyre management – and so it has proved to be. The technology has demonstrated its value over and over again during the past year.